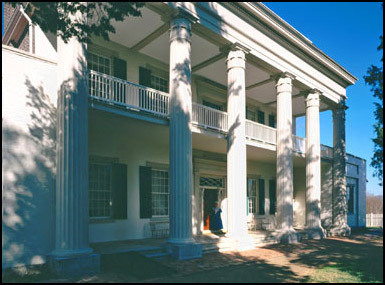 The Hermitage was the home of President Andrew and Rachel Jackson. The home was completed in 1821. Jackson had been a hero in the war of 1812, Indian Wars of 1813-14, and the Battle of New Orleans in 1814-15. He defeated the incumbent John Quincy Adams in 1828 to become the seventh U.S. president, serving two terms.